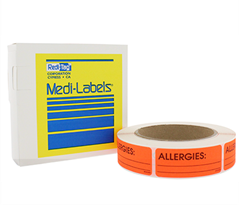 Permanent adhesive label will stay even on a plastic chart. 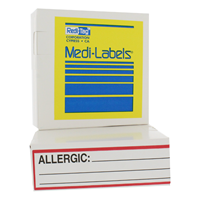 White label with red border is bright and eye-catching and provides ample room for writing drugs and other important information. 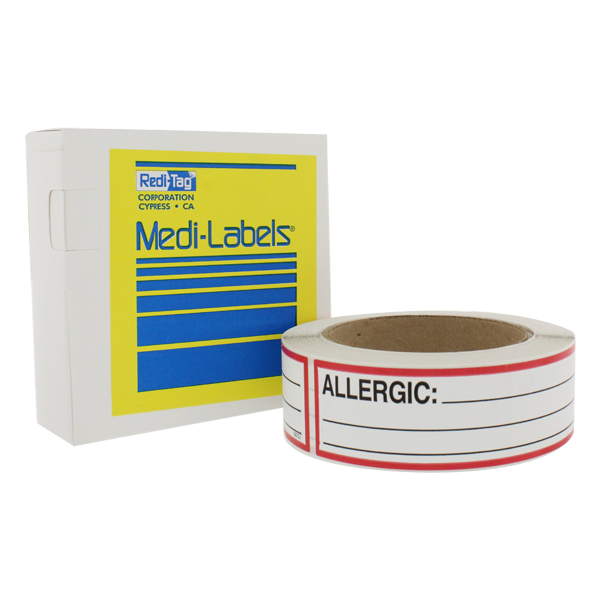 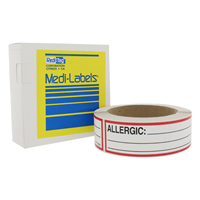 Label size: 5-1/2" x 1-3/8"